Preparing for your next visit to the exchange or commissary at Andrews Air Force Base in Maryland just got a whole lot easier. 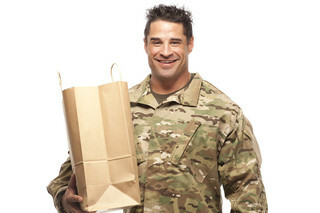 MyMilitarySavings.com is the number-one website where American military shoppers stationed around the world can find up-to-the-minute savings on all of the products they need. We understand how difficult it is for military families to squeeze in time to plan shopping trips, which is why we’ve made it our mission to take out all the hassle and guesswork in finding the best coupons and discounts that you can use at the commissary and exchange. We even make it easy for you to plan ahead with weekly access to the Coupon Connexion and the Price Connexion through our weekly e-newsletter, giving you regular updates on the latest in-store deals before you ever enter the commissary or exchange. On top of that, you can build your own digital shopping list with the “My Shopping List” tool, saving everything you need with all of the necessary coupons in one simple app that you can access from your smartphone while you’re at the exchange or commissary. To learn more and start saving at the Andrews Air Force Base, MD, commissary and exchange, sign up for your free account at MyMilitarySavings.com today.